Tomorrow, Members of Parliament have the opportunity to discuss extending the voting franchise for the first time in over half a century. In 1968 the argument was a simple one – “there should be no taxation without representation”. At the time only those over 21 could vote, despite the fact you could pay tax, get married and die for your country in the armed forces. Much like today, young people were the driving force for change in the 1960s with representatives from the National Union of Students successfully appealing to the High Court that all undergraduates at university also had the right to vote. Almost fifty years on my friend and Labour colleague Jim McMahon MP, is making the same argument ahead of the second reading of his Private Member’s Bill, which is set for debate on the 3rd November. The Representation of the People (Young People’s Enfranchisement and Education) Bill would extend the franchise once more, giving 16 and 17-year-olds the right to choose their government. I’m backing Jim on Friday for the same reason our predecessors changed the law in the 1960s – if you are liable to pay taxes, you absolutely have a say in the government that spends it on your behalf – simple as that. During the last major debate on whether to extend the voting franchise to young adults in the House of Commons prior to the EU Referendum of 2016, my position was the same fair one; given that 16-year-olds can leave school, go to work, pay income tax and national insurance as well as consent to sexual relationships, it is absolutely right to extend the franchise. In fact, both Labour and the Conservatives allow young people to join them as well as vote in the selection of their party leader. It’s simply ludicrous that whilst they cannot vote at a general election, they still have the ability to select someone who may become Prime Minister. Not only do young people deserve a vote, but growing evidence strongly suggests that extending the franchise would actually increase turnout. During the Scottish independence referendum of 2014, turnout among 16 and 17 year olds was around 75 percent. Added to this, research from Scandinavia and Austria has shown that 16 and 17 year-olds, if engaged, have higher rates of turnout when compared to those aged 18 to 24; if we look over the past decade it’s not difficult to see why. Since the financial crash young people have been disproportionately hit by austerity the world over. 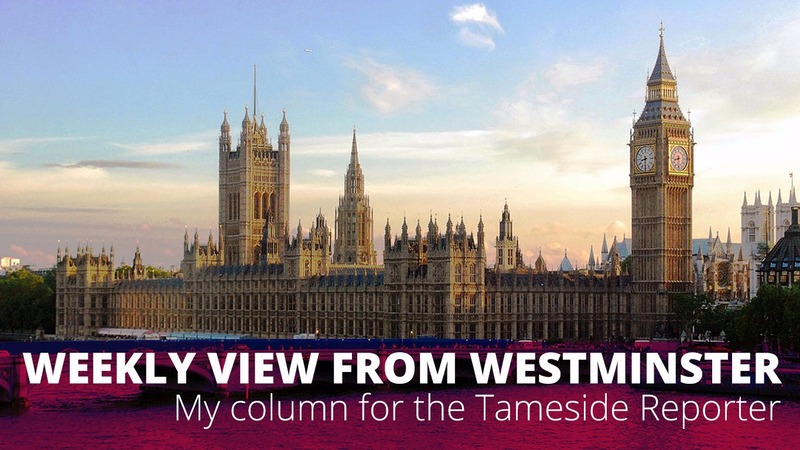 At home they are led by a Tory government with no policy ideas for their generation and now face the prospect of a hard-Brexit – notwithstanding the fact that over three-quarters of voters aged 24 and under voted against Brexit. I respect the referendum result, the people have voted and it’s my responsibility as a Member of Parliament to deliver that. However, I and my party will fight tooth and nail for a Brexit deal that protects jobs, the economy, rights for workers, as well as the rights of European workers who have made the UK home and the environment. 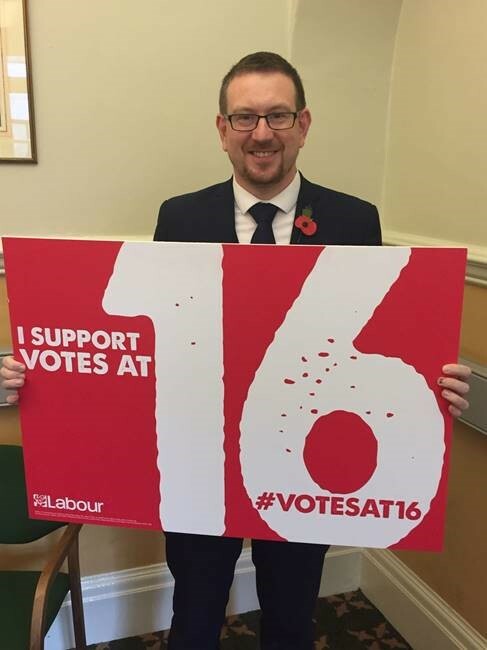 The tide however is turning to supporting votes at 16 and the Tories know they can’t stop it. The experience in Scotland has shown us how successful extending the franchise can be – even the leader of the Scottish Tories, Ruth Davidson says she is now a “fully paid-up member of the votes at 16 club”. In Wales, a Labour Government is looking at extending the franchise to young people for local elections and is exploring ways to extend the franchise to younger people more widely, although for general elections, the power to change remains solely in Westminster. Yet, this presents a momentous opportunity to increase the pressure on the UK Government and strengthen the case for votes at 16 in England. The Labour Party is committed to extending the franchise to 16 and 17 year olds, and that’s a promise we’ve made in each of our three previous manifestos. This was one of the many reasons that young people descended on polling stations in their droves in June to back Labour, driving the party’s surge in support. The Labour Party will be supporting Jim’s Bill on November 3rd as well as a selection of cross-party MPs, with Conservatives’ Nicky Morgan (former Education Secretary) and Sir Peter Bottomley among the signatories. I just pray the Tories see sense, history will be watching.